New builds are available on the Live Builds page now. This has been another huge month for Daggerfall Unity. We’re quickly closing the gap towards major parity with classic Daggerfall and exiting pre-alpha. The magic system has taken another big jump forwards this month with the number of implemented spell effects crossing the 90% complete mark. I’ve also updated the main Roadmap and shifted a few magic-related items out of 0.5 into 0.7. This is so I can create a stable 0.5 build and start the downhill run towards exiting pre-alpha. I don’t think we’ll spend very long in 0.6, 0.7, and 0.8. These milestones have become more a formality at this point. Alright, let’s unpack what’s new in October! The new SDF font system is now functional in automap UI. Now the fonts look smooth whether you’re zoomed all the way in or out of the map. 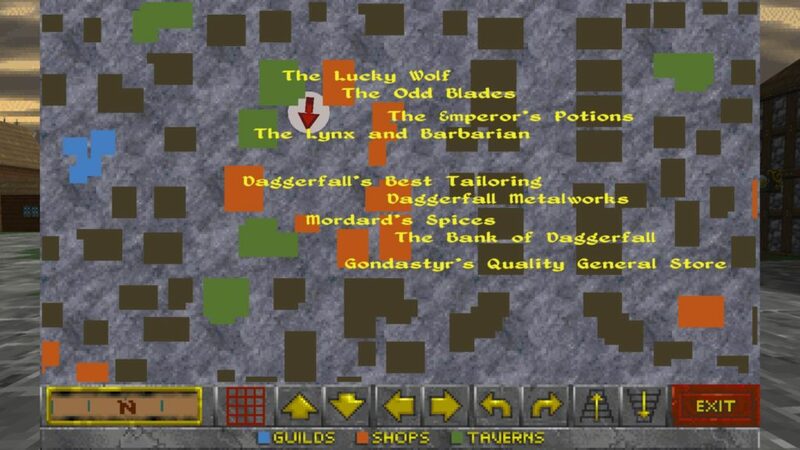 Daggerfall Unity isn’t just about reproducing classic 1:1 with quality of life features and mod support. We’re also adding depth to parts of the game that needed a bit more love in classic. If you’re the type of Daggerfall player who enjoys the Acrobat class, you probably want to make sure this option is enabled at Advanced > Enhancements. The Advanced Climbing System allows characters with a high Climbing skill to not only scale walls, but to move in any direction, wrap around corners, cling to the wall, grab walls in the air, and leap off walls. A Khajiit with a high Climbing skill and magic can scale over practically any surface in the game. You can even climb out of water now, rather than face certain drowning. In latest builds, you can rappel down walls by walking backwards off the top. 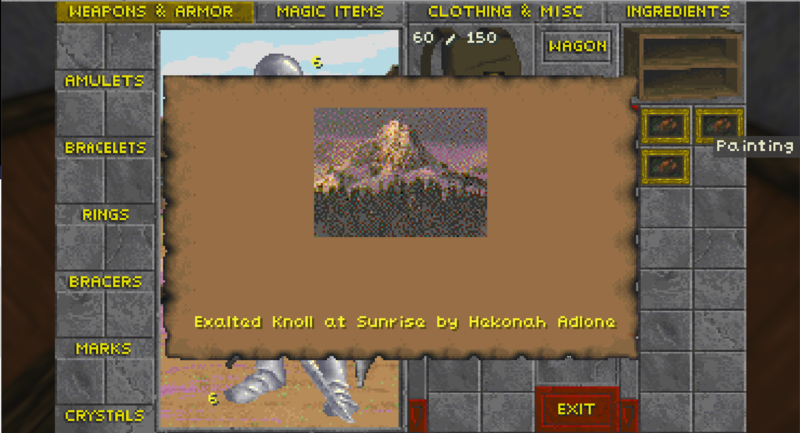 I remember looking everywhere for that rope mentioned in Daggerfall’s manual, only to discover it wasn’t in the game. Well, who needs ropes when you can rappel? If you’re a classic purist who prefers just scaling walls, all of these features are optional. Simply disable the Advanced Climbing System in settings and things are back to classic. The Advanced Climbing System is currently enabled by default for testing – and because it’s really fun to play with. 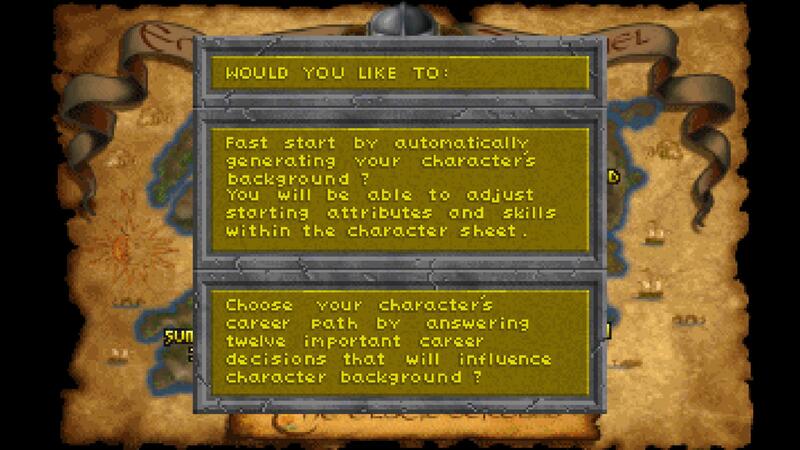 These randomise your character a bit at the beginning of your adventures, changing starting gear, reputation, and more. You can either randomise biographies in a single click, or answer a series of questions. With this feature, custom character creation is now all but complete. Hand-in-glove with biographies comes your character History, activated from a button on your character sheet (F5). This is an automatically generated background to help give you some role-play hooks for your character. 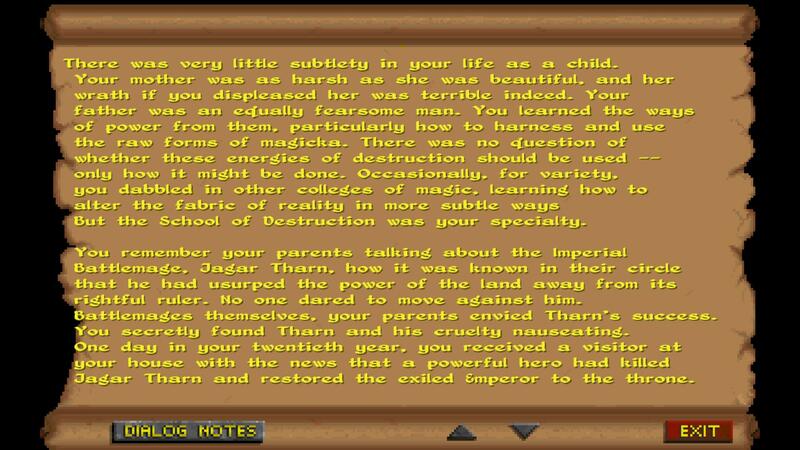 This is mostly for flavour, but it’s a nice pen-and-paper RPG touch unique to Daggerfall. Note that only new characters generated from these builds will receive a full history. Existing or imported characters will have a blank history page. New characters now also receive their starting spells loadout. Missing these spells is a small thing easily overcome by a trip to the Gothway Garden Mages Guild, but they can be a nice starting point and help new casters escape Privateer’s Hold. It’s also worth mentioning that casters now receive skill tallies when casting spells, it’s finally possible to level up your magic-user the normal way. And spell point costs are now enforced like classic as we tear off the “test” label and start considering spell casting in full production. Another enhancement not found in classic. Enemies will now select non-allied targets to engage in combat. Enemy allies are considered to be on same “team”, such as “undead”, “vermin”, and “daedra”. They might fight the player or engage with another monster not on their team. This brings a new dynamic to dungeon crawling where the inhabitants aren’t just standing around waiting for the player, they will also fight each other. In the video below, I kite that skeleton in Privateer’s Hold upstairs to the Orc in a nearby room and get them to fight each other. If you prefer the classic system, this feature can be disabled from Advanced > Enhancements > Enemy Infighting. As if diseases weren’t bad enough, poisons make their debut in October builds. 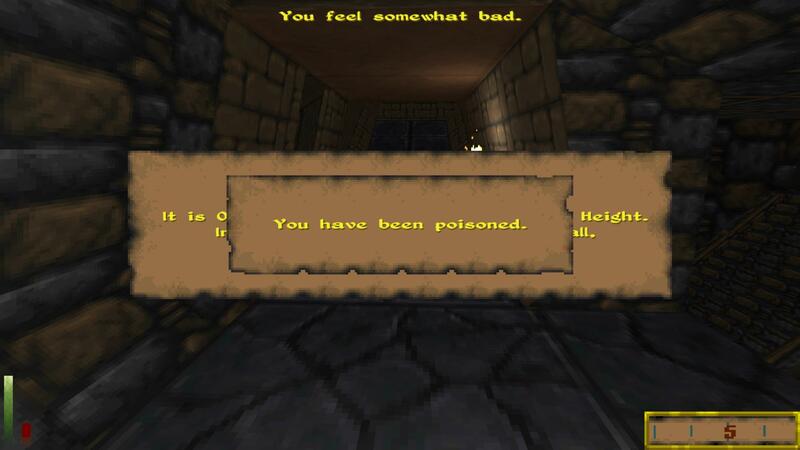 Enemies will have a chance of carrying a poison weapon that will inflict player with a deadly poison. This is where your spellcraft or class immunity might come in handy. Poisons can end your adventuring career very quickly, so try to have a Cure Poison spell or a recent save handy. As part of adding poisons, elemental resistances and their saving throw formulas have been implemented in these builds. 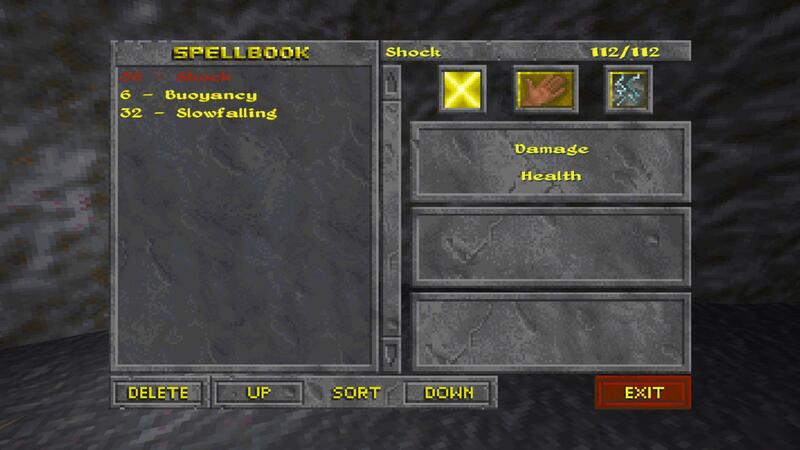 You can find these spells available in the spellmaker (more on this below). 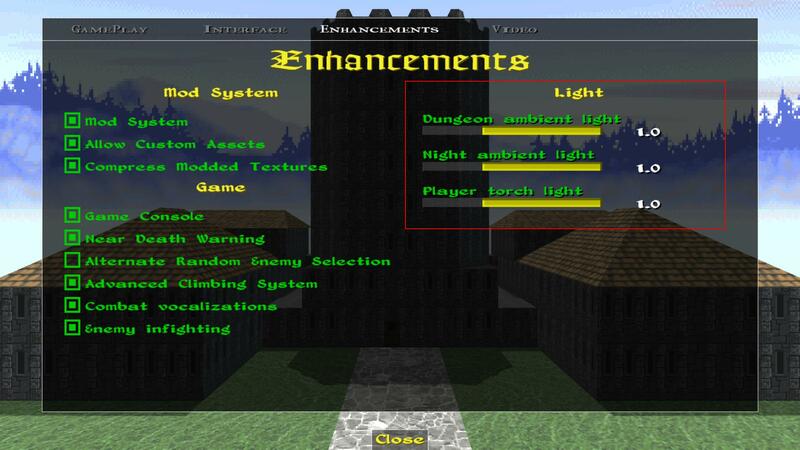 If you feel that dungeons and night-time are too bright in Daggerfall Unity, you can now adjust these with new sliders in Advanced > Enhancements. You can set the ambient scale for dungeons, night-time, and the player’s personal light. These can be set from 0.0 (off) to 1.0 (normal). The lower you set these sliders, the darker these environments become. Setting dungeons to near 0.0-0.2 makes for a very claustrophobic experience. I show an extra-dark dungeon below in the video for the Light spell. I’ve had some help writing this article, and Hazelnut was kind enough to outline what he worked on in the October builds. I’ll be back after his part of this update to outline all the new spell effects in these builds. A bug report was submitted pointing out that the info on painting items was not working which brought it to my attention. Rather embarrassingly I’ve since found that it had already been pointed out to me twice in other threads and I’d just forgotten all about it. 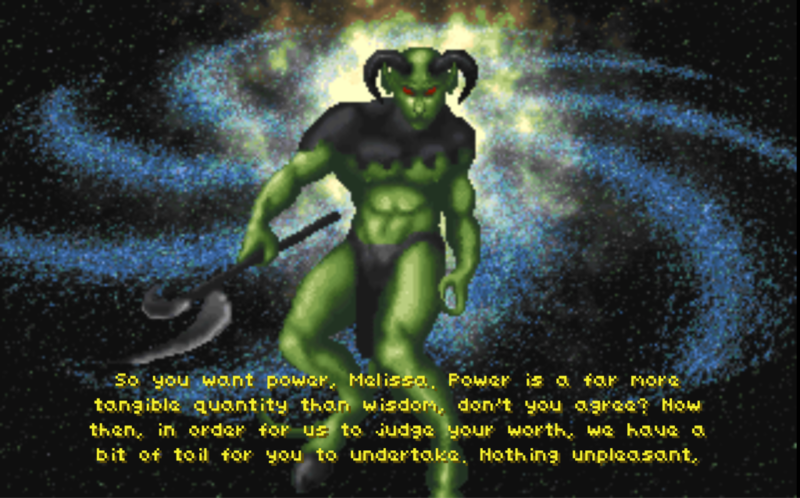 However, with hindsight that was probably for the best because I might be bald from tearing my hair out if I’d tried to implement this before the amazing Allofich had reverse engineered the classic Daggerfall code and posted it to get me started! Basically the info for paintings uses one of 7 variations of title stored in text.rsc at index 250. These messages contain various permutations of the macros %sub, %adj, %pp1, %pp2, %an (subject, adjective, prefix1, prefix2, artist name) which need to be replaced with the correct context text for the specific painting. 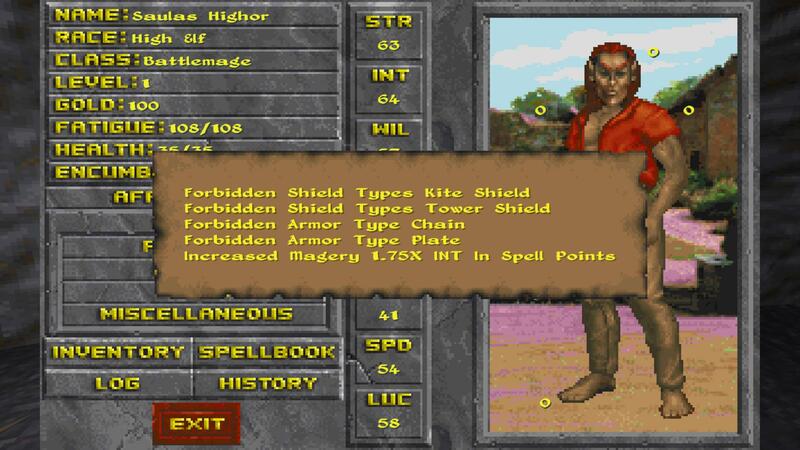 The Daggerfall random number generator is seeded from a field on the item called ‘message’ that contains a random number applied when the painting is created, and everything is generated from this single number using a specific algorithm. It’s important to match classic so that the title matches the image displayed, the alternative would have been to create a new algorithm which was consistent but didn’t match classic. There were a few gaps in Allofich’s description so it took a bit of back and forth, plus several hours of experimentation on my part, to nail it. Now painting info should match classic, so please let us know if it doesn’t. Next on my todo list was to finish the trade window implementation, specifically the steal button. This required a new formula ‘CalculateShopliftingChance’ which uses the number of items and their combined weight with the players pickpocket skill to give a chance of success. Like most of the DFU formula, it can be very easily overridden by mods like the Archaeologists Guild mod changes the language pacification formula. Since Allofich had already implemented spawning of city watch guards, implementing failure was quite straighforward. Then I moved on to the other side of the Thievery coin and implemented the Thieves Guild fence service which allows players to sell magic items. This needed a new mode for the trade window so that it could filter on item enchantment instead of type. 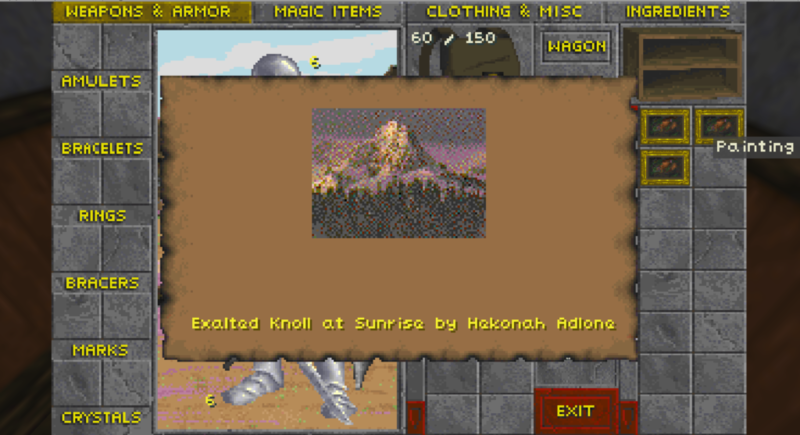 It currently uses the default sell formula, although UESP hints that it may need updating to take into account reputation with the TG Fences. That will happen once we have concrete info and is simply a case of creating & using a new formula method. The last guild service, that is not tied into the magic system (still under construction), is summoning Daedra. I had no idea how this worked since I only ever got to level 2 in classic, so some research was required. After a while it became clear that at its core the service was really just a fancy quest dispenser, albeit with quests from Daedra to find magical artifacts. Thankfully UESP had good details about price, chance and summoning days so getting the initial part done was fairly straightforward and used standard parchment style message boxes as seen throughout the game. Getting a quest off a Daedra Lord or Lady is a bit special and has an animated image of the Daedra with the text overlaid at the bottom. This required more work to create a new custom display method that had to split each message into chunks of 4 lines. 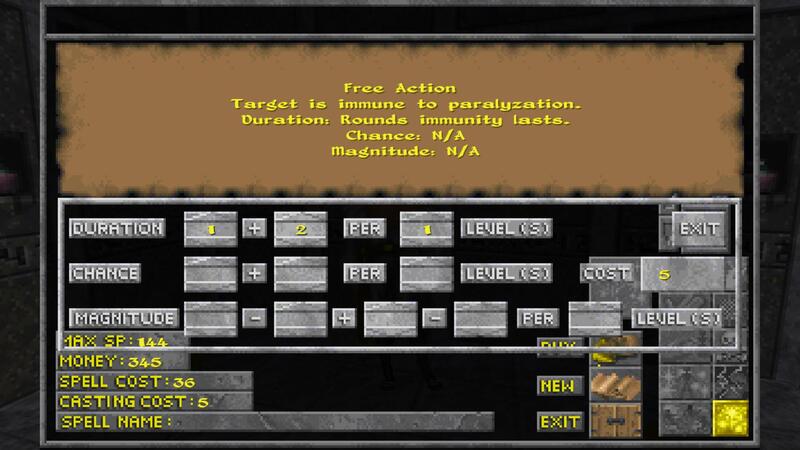 Each click displays the next chunk and the quest can be accepted or not by pressing ‘Y’ or ‘N’ keys. Luckily Interkarma had also just posted about some code that Lypyl had written back in 2015 that played the related video files, and swiftly worked this into the codebase for me. This meant that adding the video player in the background was a breeze. Thanks Lypyl, very much appreciated! Do watch out if summoning fails, or you refuse such a powerful being, you may have trouble on your hands! Well that wraps up my recent contributions, thanks again to the other members of the DFU team for their help and assistance. Except for fixing bugs in the core codebase, my focus will now be mostly on the Archaeologists Guild mod. Another care package of spell effects has landed in October. Spellcasters now have more utility than ever to survive dangerous encounters, and some new threats as well. This effect helps you find nearby treasure piles. A small arrow is displayed above your compass to guide you towards any treasure within range. In the below video, I’ve stashed a few treasure piles around the Mages Guild and use Detect Treasure to find them. Watch the compass at bottom-right of HUD to see the effect in action. If an enemy suddenly turns invisible, you might still be able to detect them with help from the Detect Magic effect. In this video, I turn a few mobile NPCs invisible and use Detect Magic to locate one and talk to them. They don’t know they’ve been turned invisible, and aren’t harmed by the spell, so it doesn’t register as a crime. This spell will help you locate magic effects running on any nearby mobiles. You can hear that skeleton, but is it on the other side of the wall? With Detect Enemy, you can find out just how screwed your character will be when you open the next door. In this video, I round up a few enemies to test the spell. That’s a lot of markers! Use your magical prowess to secure doors against foes and open all but the hardest locks. You can even use Open to break into locked buildings at night. But some magical locks remain beyond your skills. Summon a magic candle to light your way in the darkest of dungeons. And for players that really like dark environments, there’s even a new feature to turn down ambient lighting to suit your tastes. Here’s a video of the Light spell in action inside a super-dark dungeon. Poisons are only the beginning. Very soon, enemies will be hurling spells back at the player and fireballs aren’t so much fun when you’re on the receiving end of them. To help the player make their saving throws against magical attacks, you’ll find elemental resistances available in the spellmaker. And if you fail your saving throw vs poison, you can now create a Cure Poison spell at the spellmaker. Sometimes it’s better to make friends than risk combat. With the Pacify effect, you can now get certain foes on your side – provided they don’t resist your spell. Pacified enemies will not attack you again unless you accidentally harm them in some way. This effect will make you immune to paralysis for its duration. If you still have a paralysis effect active when Free Action expires, then you will become paralysed again. This is like a brief reprieve rather than a cure, for which you have Cure Paralysis. This might be useful when you come up against spiders and scorpions one day soon. Levitation is great, but sometimes you just need to glide to the ground. The Slowfalling effect does exactly this. If you find yourself slowfalling downhill like in the video below, a quick Dispel Magic on yourself will cancel the effect. There’s also a range of improvements and minor new features in these builds, more than I could cover in detail. Lots of bug fixes this time around. Because we’re getting close to 0.5 stable, we’ve all spent a lot of time fixing problems and on quality control. Thanks to everyone below for their efforts. Bug fixes aren’t glamorous, but they’re very important. Fixes for loose objects such as towns not cleaning up properly, leaving floating cities, etc. That’s everything for now. Even as project lead, I’m often surprised by how quickly things are moving. It has become a challenge just to document and credit everyone for their efforts. We may not be at the finish line for a while yet, but Daggerfall Unity is piling on gameplay weight every day. It’s only a matter of time now before it reaches major parity with classic. If you’re willing to overlook a few missing pieces and inevitable bugs, the game is in a highly playable state. Exciting times ahead! 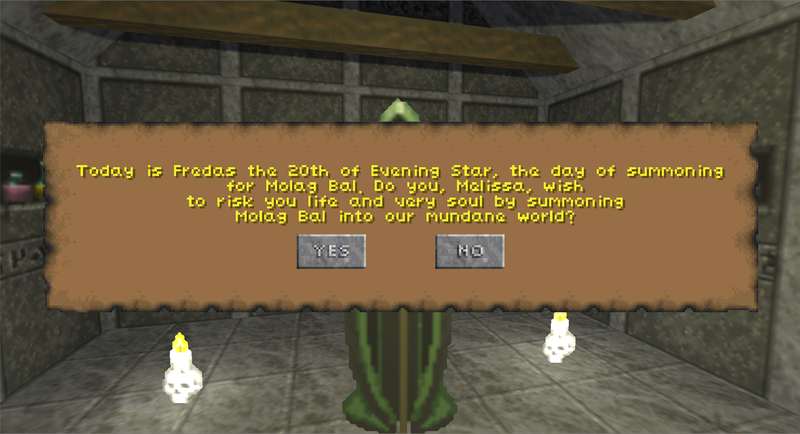 Posted in Daggerfall Unity, Releases. Amazing work, as always. It’s awesome to see the light at the end of the Alpha tunnel! Incredible! Am I correct to assume that all Daedra quests are now working? Insane update!! Thanks a lot to everyone who contributed, we are getting there for sure! The Daedra quests are mostly untested at this time. Hopefully testers will start providing feedback now that summoning is available, and we can fix any bugs founds before end of pre-alpha. Thanks for all of your amazing work! 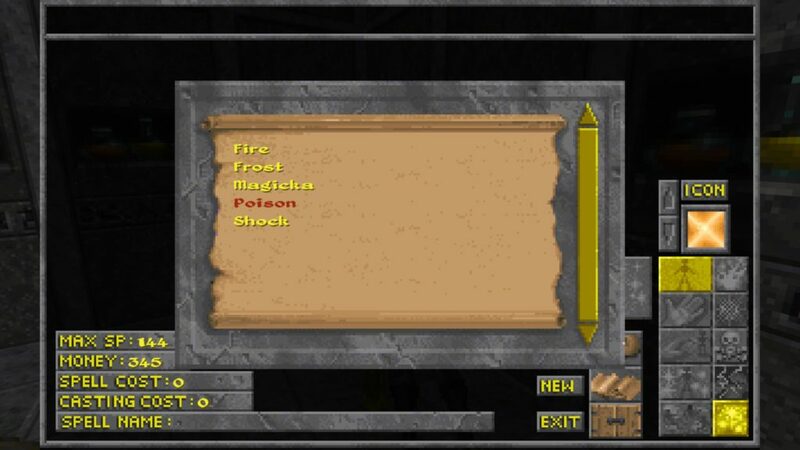 It has been an absolute pleasure to get back into Daggerfall, oh the memories!